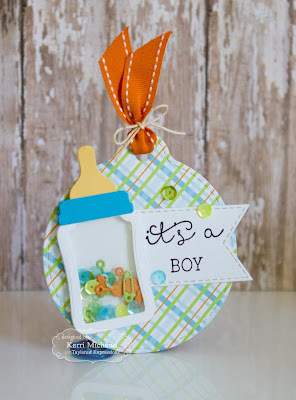 TE Release Day-It's a Boy! 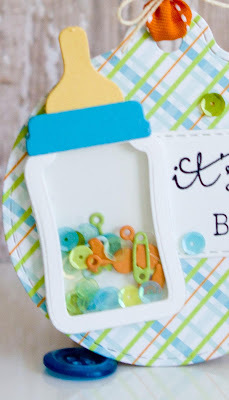 For my final project this week, I made another fun baby tag using the awesome new Tag Stacklets 3 Dies, along with the super fun new Baby Bottle Shaker Dies! I cut my base using a Tag Stacklets 3 out of some TE Double the Joy dp. I then put my bottle shaker together using Sugar Cube and Potato Chip cs. I filled my shaker with Double the Joy Sequins and some adorable shapes cut with the Little Bits-Baby Confetti Die. 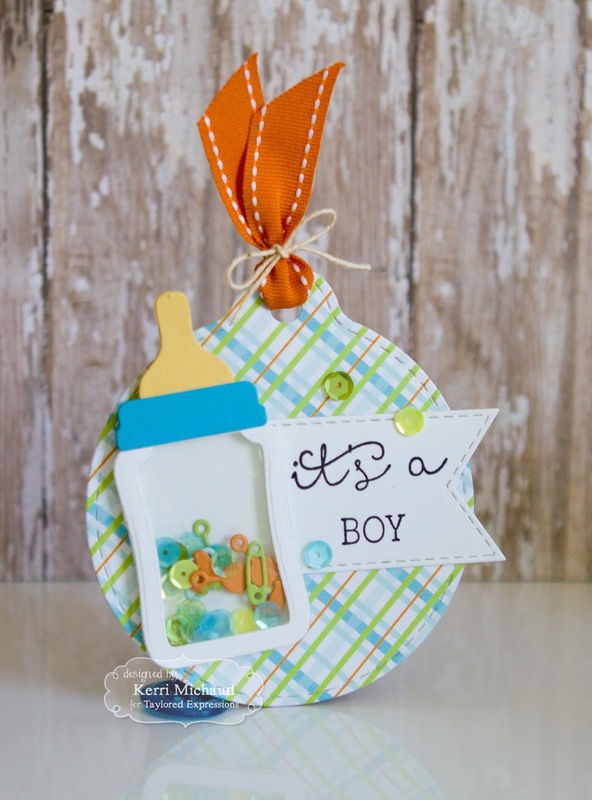 The sentiment is from the set Little Bits of Baby and it was cut out with a Stitched Banner Stacklet Die. I just love playing with all these fun products, and I know you will too! Thanks for stopping by today! If you'd like to see more projects and new product information, please head over to the TE Blog for a complete list of our participating designers:) Happy Shopping!